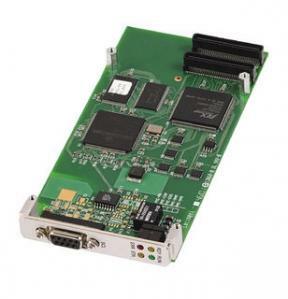 The FMC106 is an FPGA Mezzanine Module per VITA 57 specification. 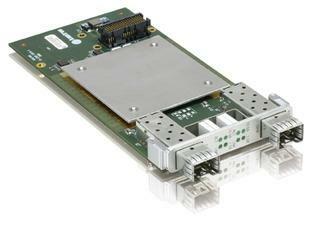 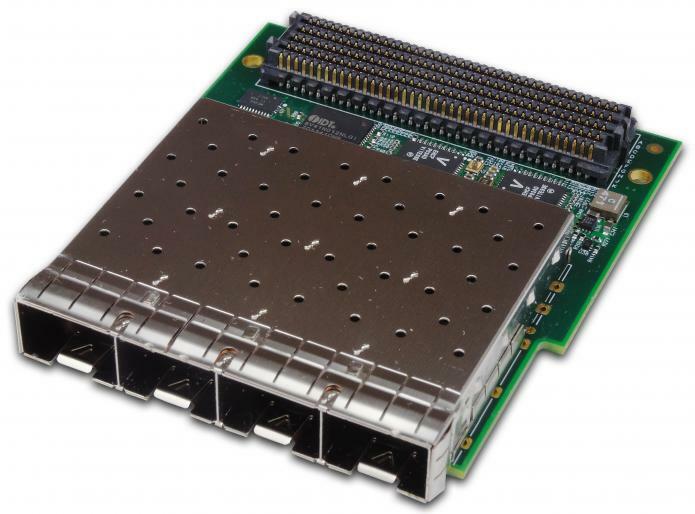 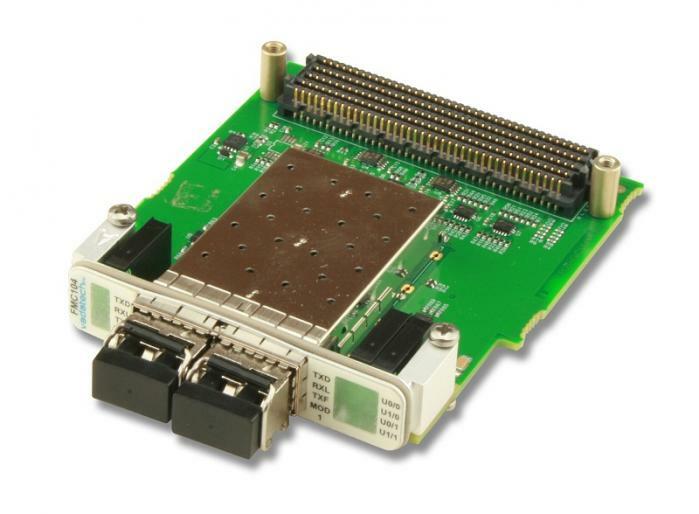 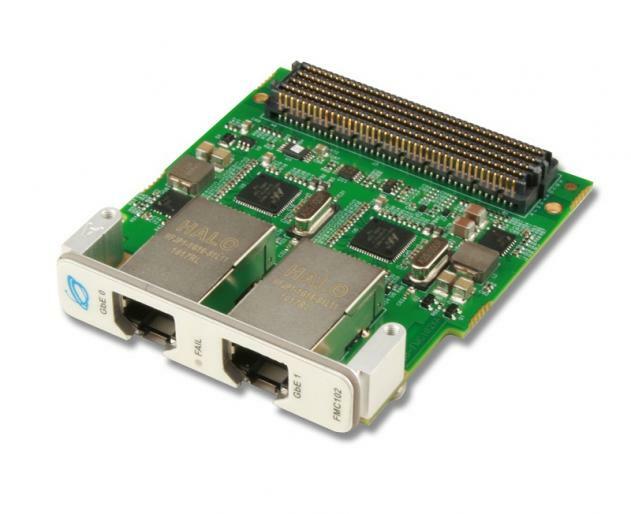 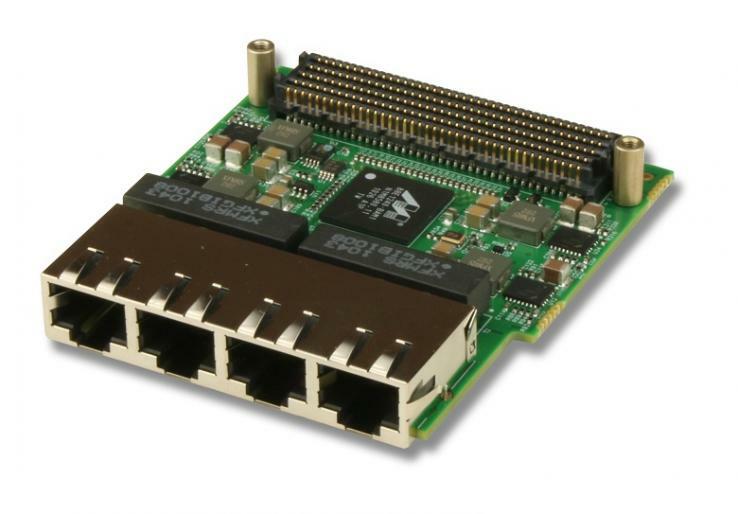 The FMC106 has Dual 1GbE/10GbE interface via SFP+ which allows for 1GbE/10GbE to be routed to appropriate FMC pins. 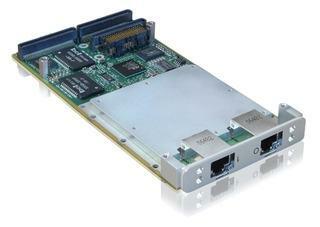 The FMC105 is an FPGA Mezzanine Module per VITA 57 specification. 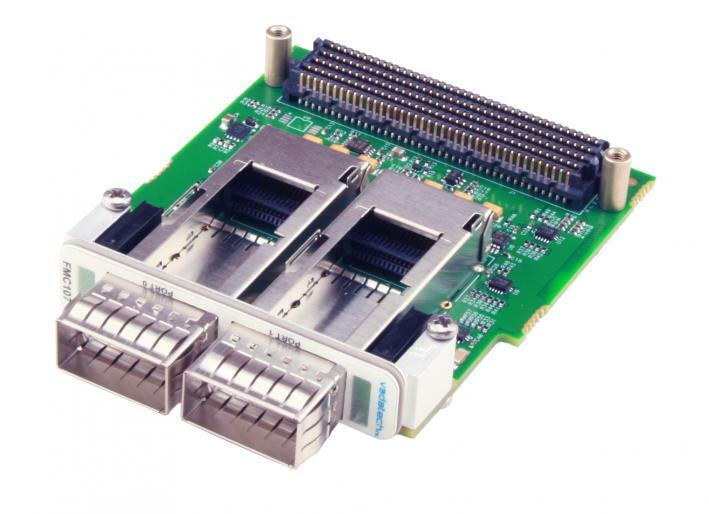 The FMC105 has quad SFP/SFP+ cages which allows for Quad GbE/10GbE to be routed to appropriate FMC pins. 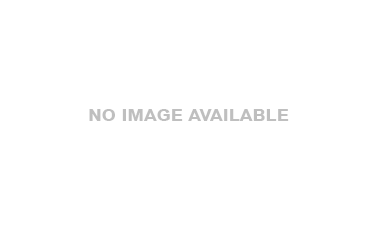 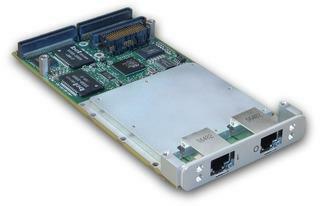 The FMC104 is an FPGA Mezzanine Module per VITA 57 specification. 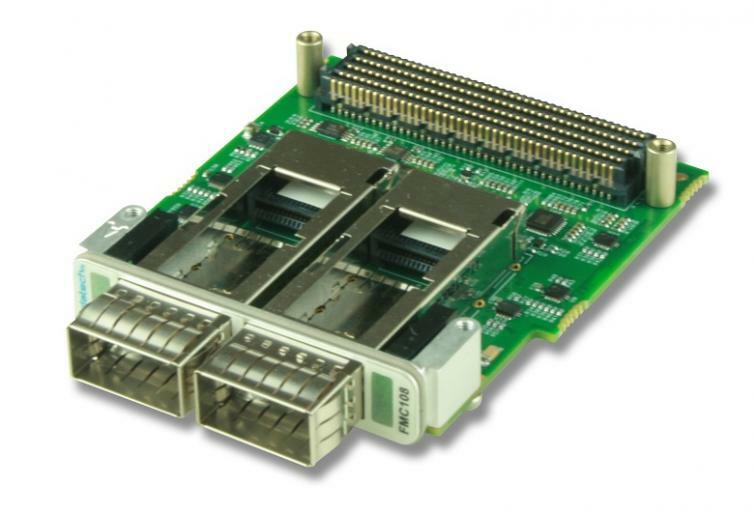 The FMC104 has two SFP/SFP+ cages which allows for dual GbE/10GbE to be routed to appropriate FMC pins. 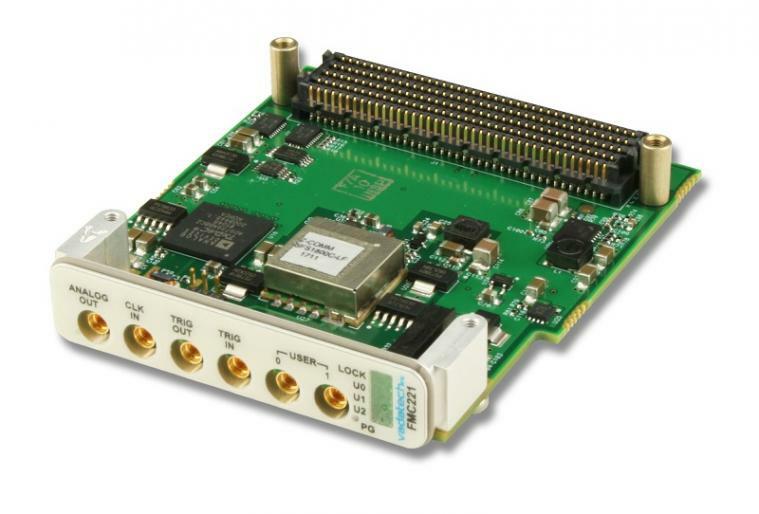 The FMC103 is an FPGA Mezzanine Module per VITA 57 specification. 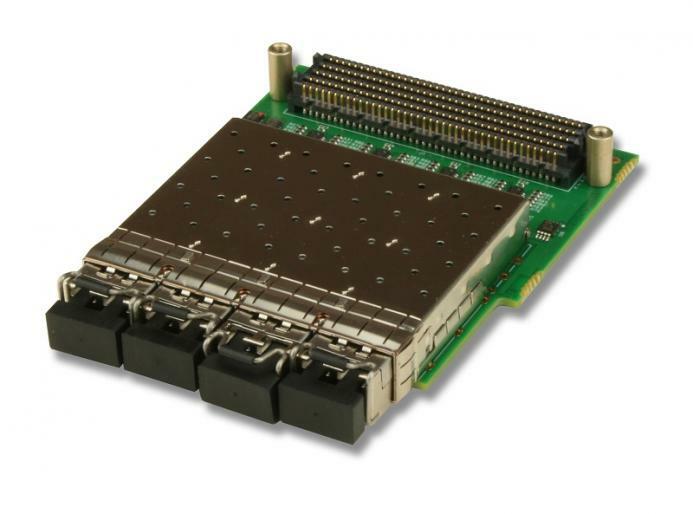 The FMC103 has a quad GbE PHY which allows 10/100/1000 Mbit to be routed via SERDES to the appropriate FMC pins. 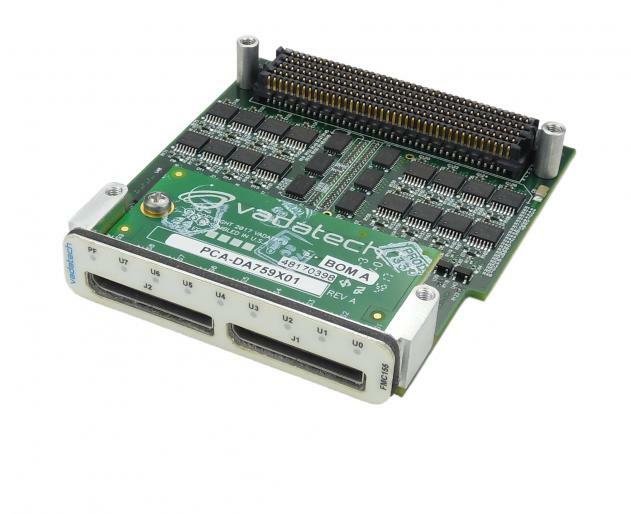 The FMC102 is an FPGA Mezzanine Module per VITA 57 specification. 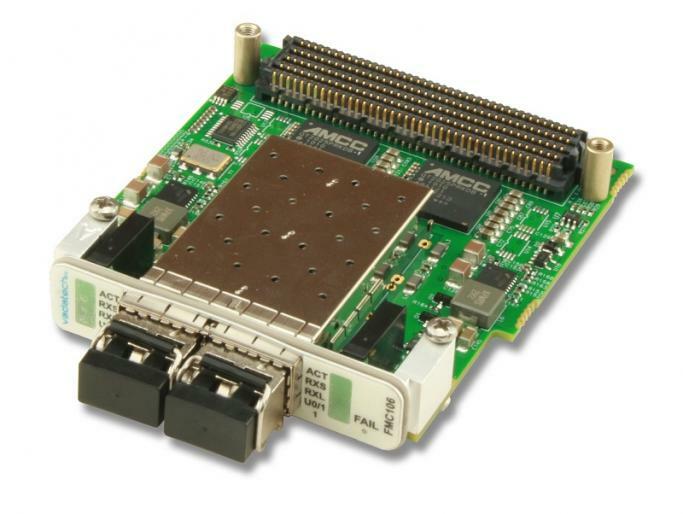 The FMC102 has two GbE PHY which allows 10/100/1000 Mbit to be routed via SERDES to the appropriate FMC pin. 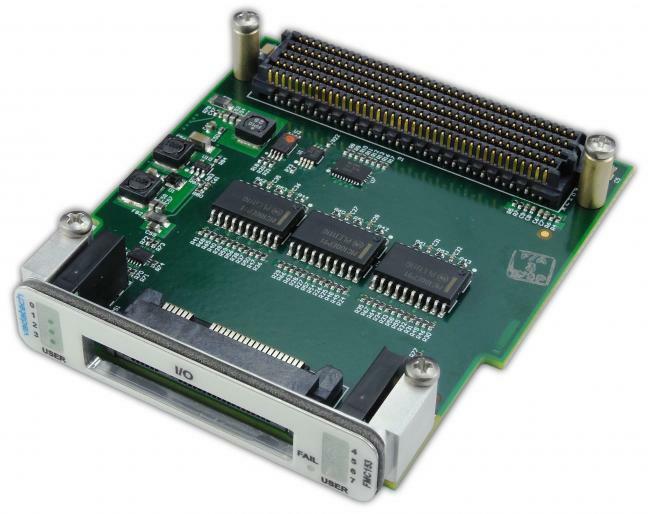 The FMC153 is an FPGA Mezzanine Module per VITA 57 specification. 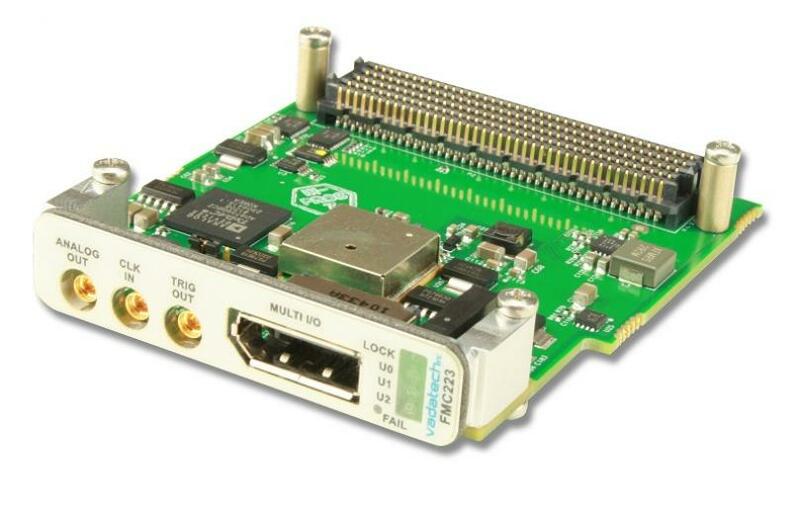 It has 8-bit synchronous output with clock. 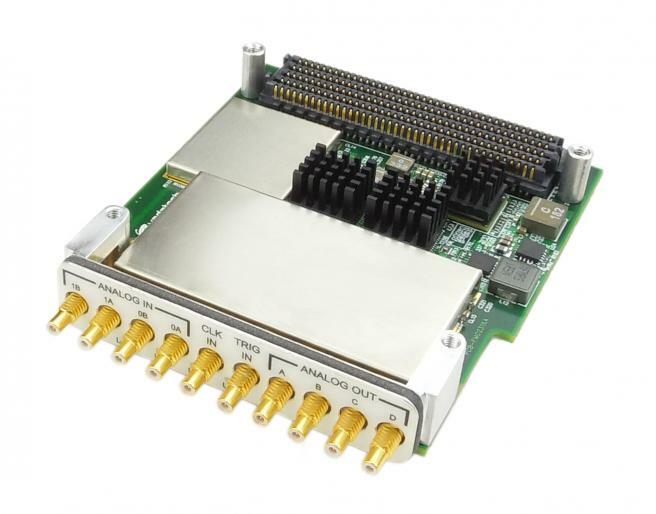 The output is in NECL signalling. 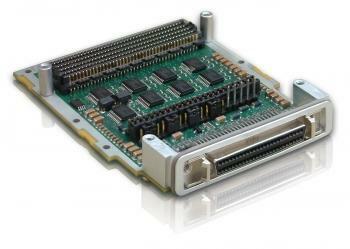 The module has 8 status LEDs. 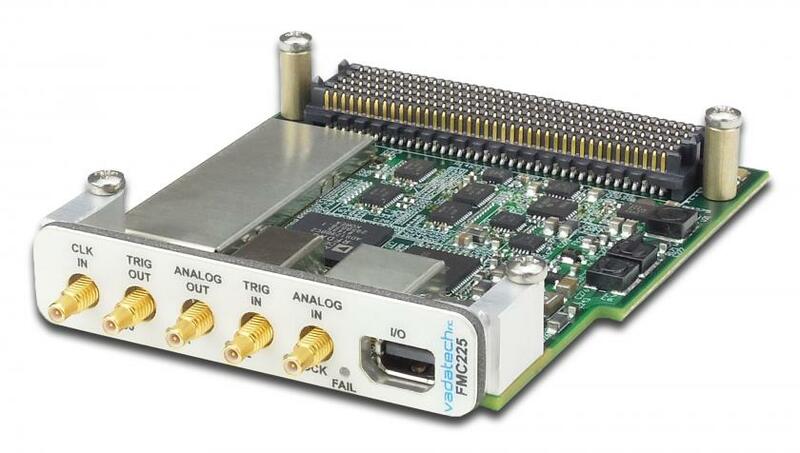 The FMC224 is an FPGA Mezzanine Module per VITA 57 specification. 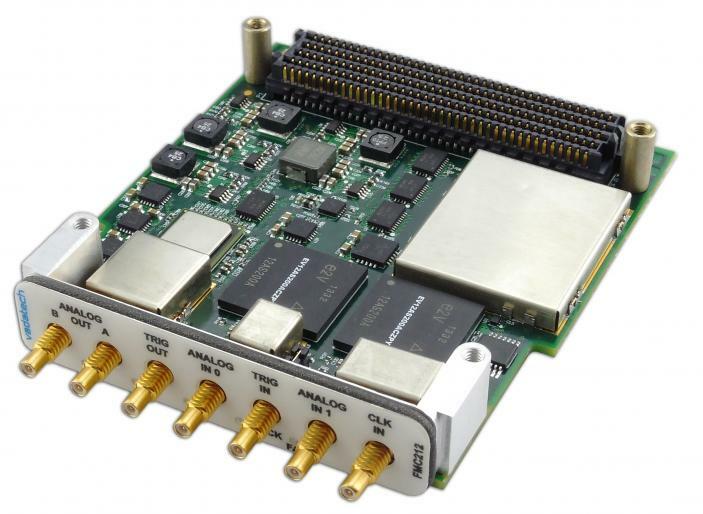 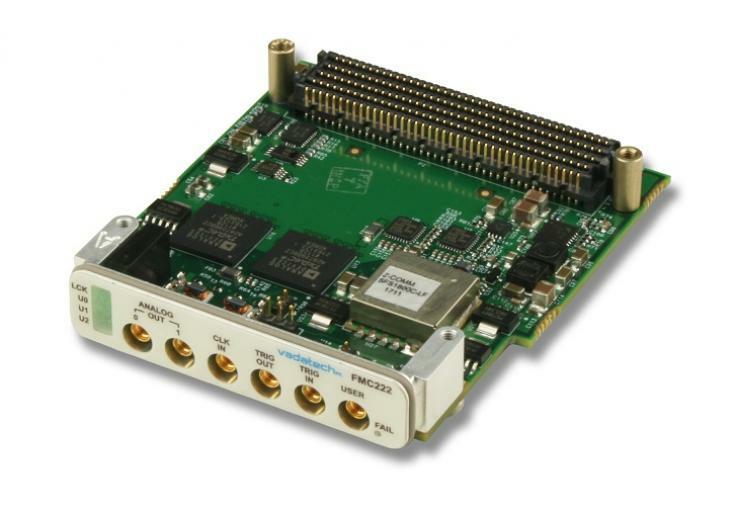 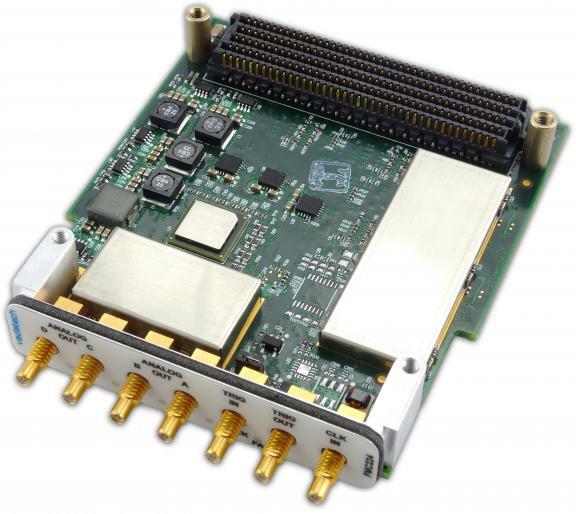 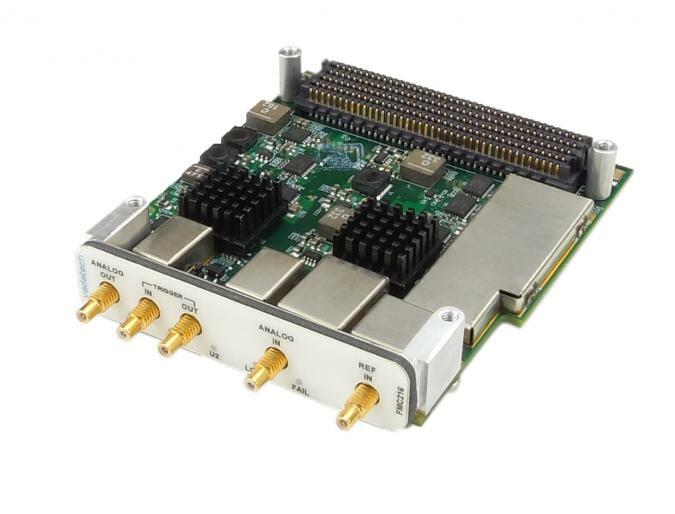 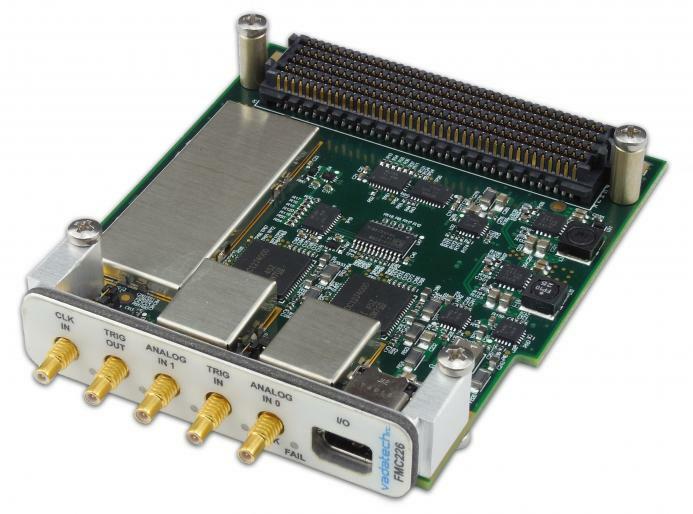 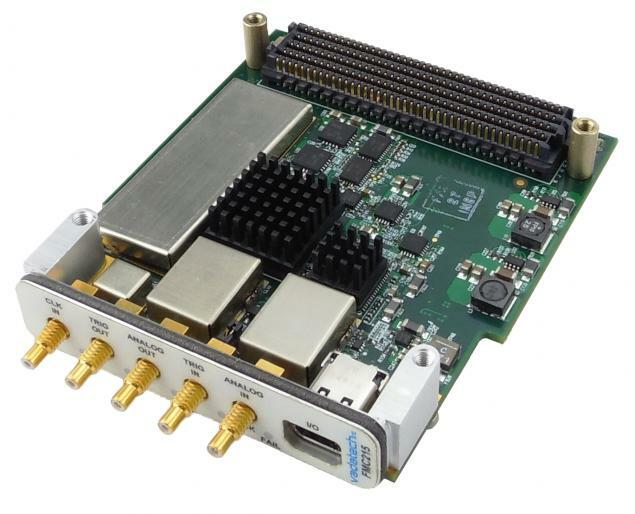 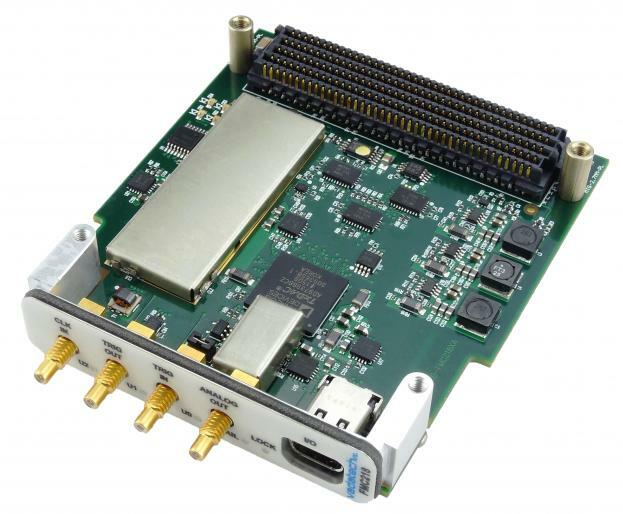 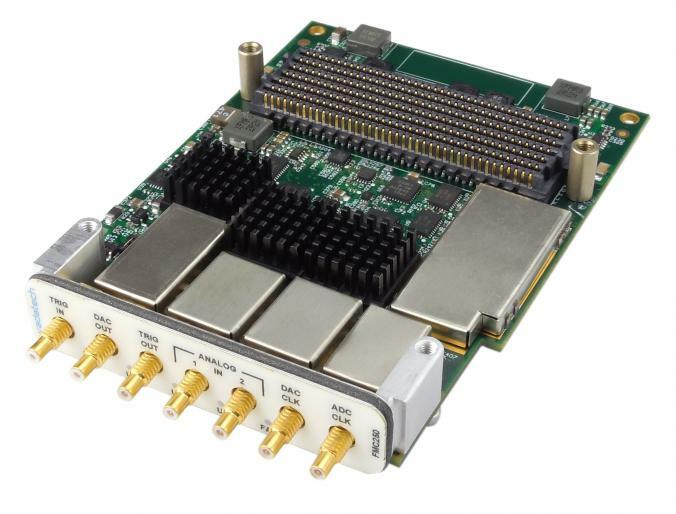 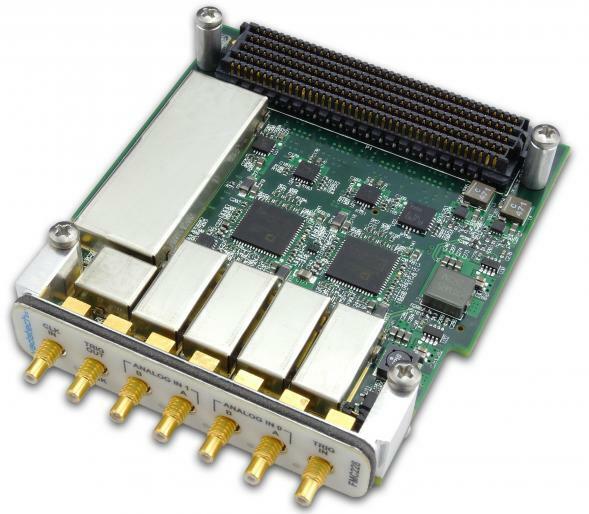 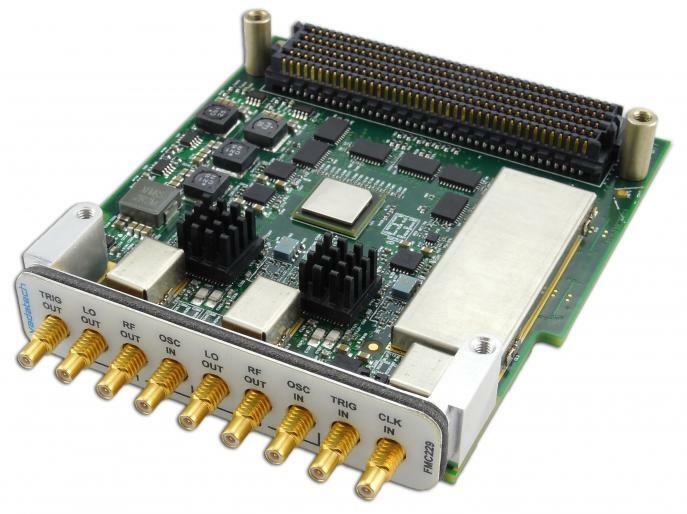 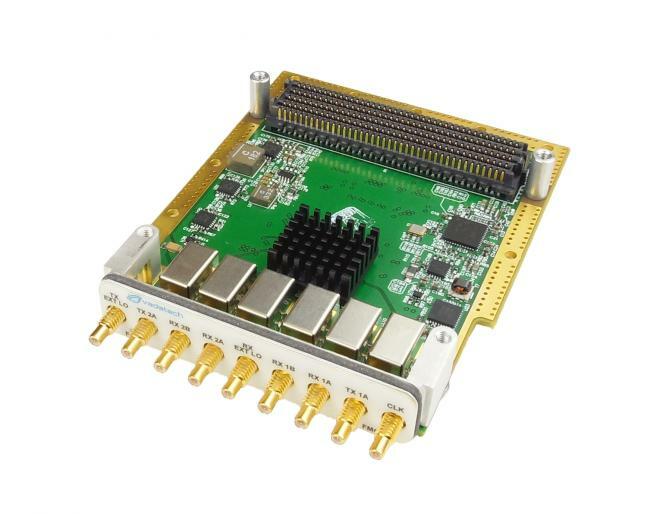 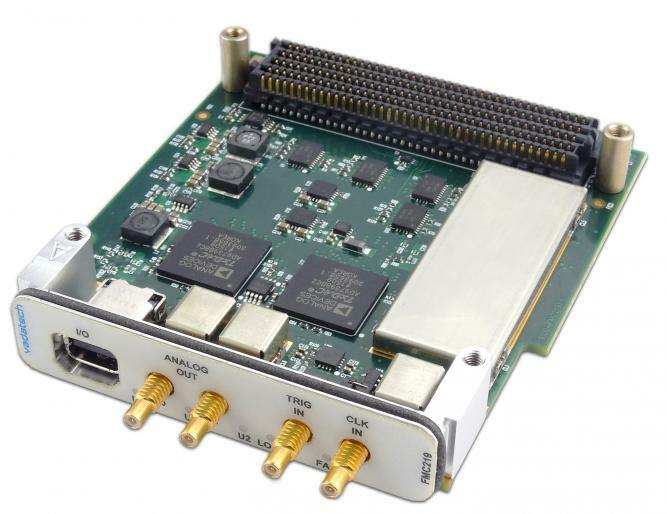 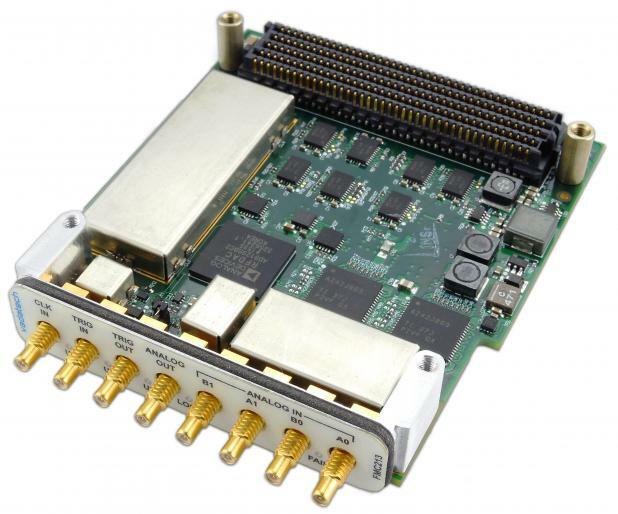 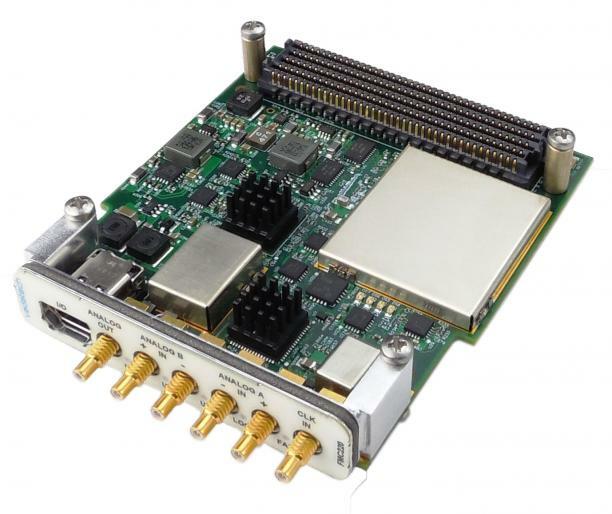 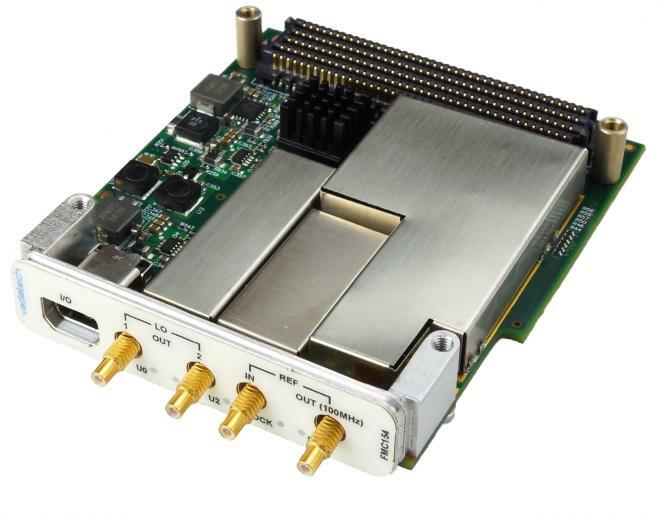 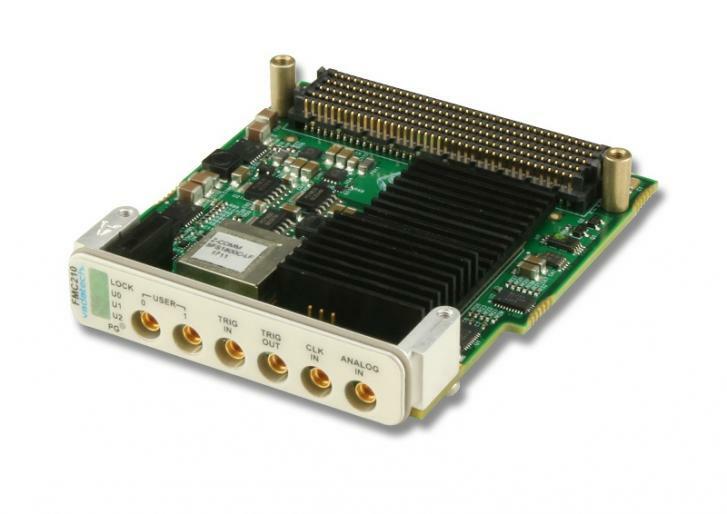 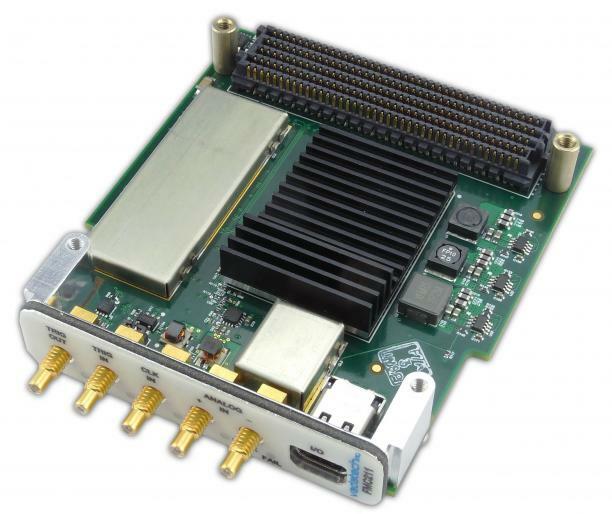 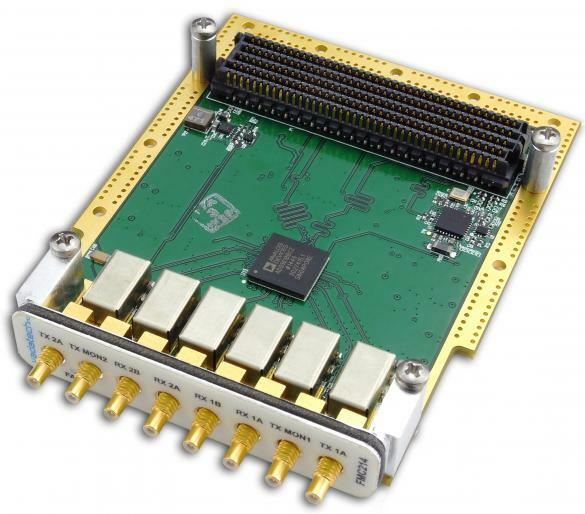 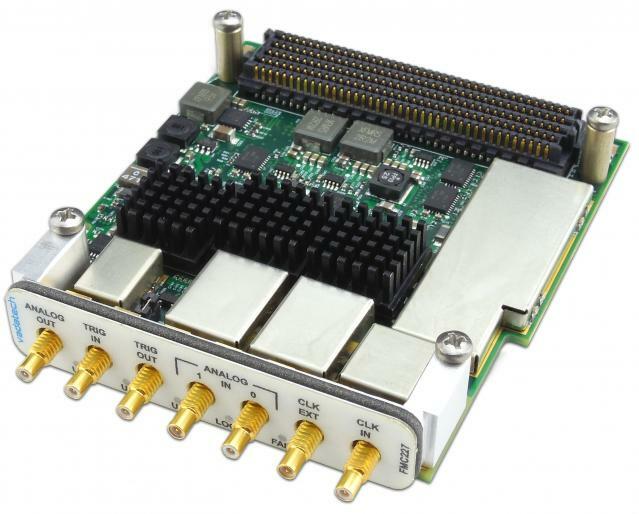 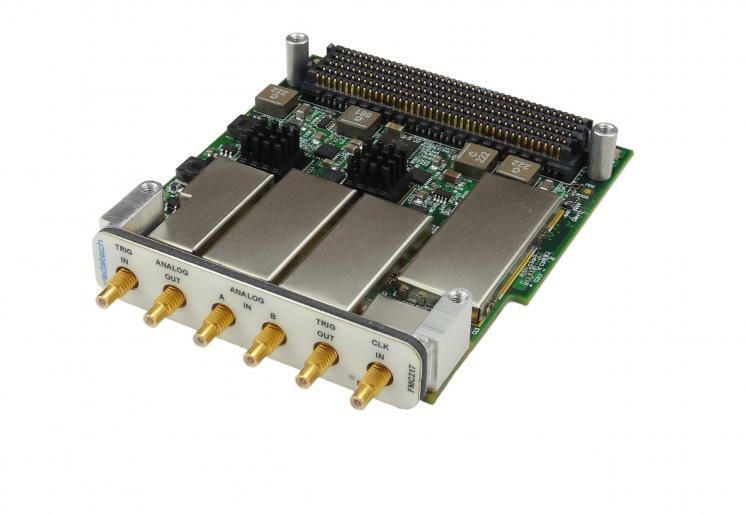 The FMC224 has a quad port DAC 16-bit at 2.8 GSPS. 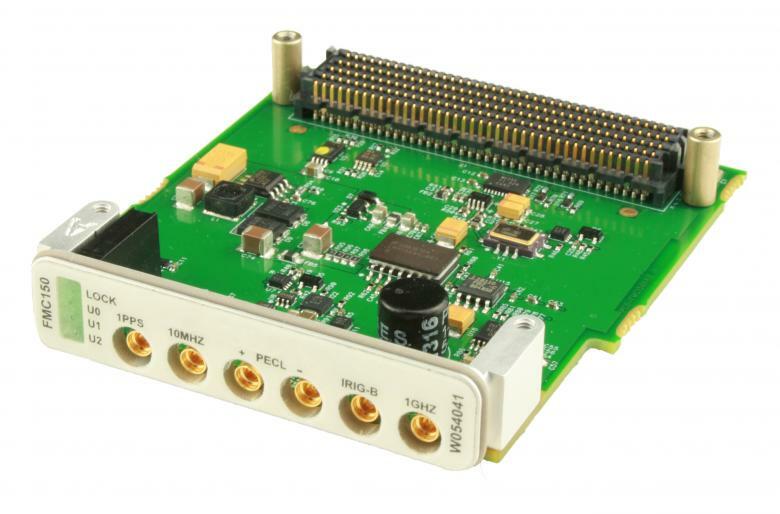 The DAC converter utilizes the TI DAC39J84 which is JESD204B compliant.